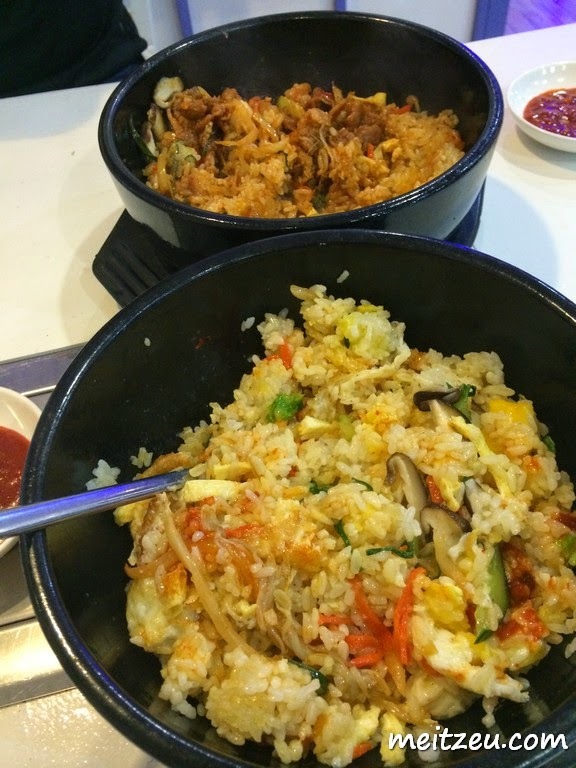 Another round of delicious Korean Cuisine during one fine night. While it was Bae birthday, we went to The Bab's for a nice Korean dinner in town, some where where not many people would go. It was our first time there, such a pretty environment at the restaurant, painted in purple and white. :) We have option to have our dinner outdoor and indoor, I'm a bit reluctant to sit out. 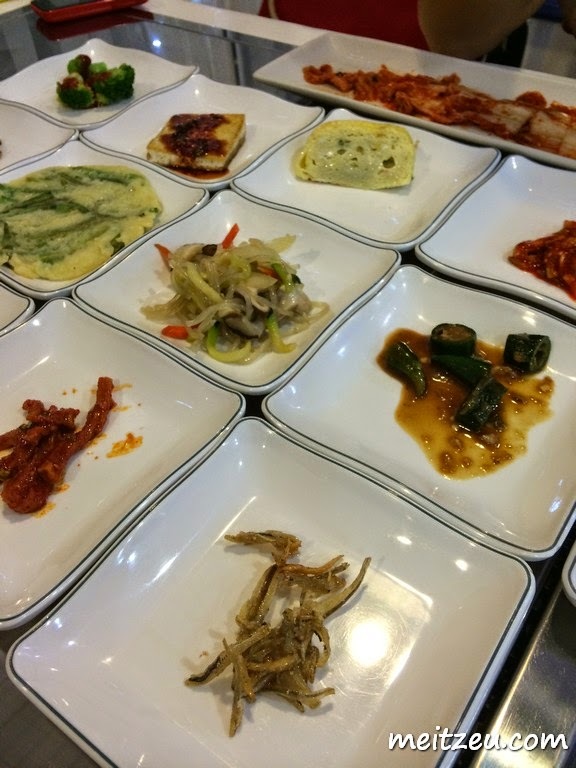 Way to hot to dine in at Korean restaurant while we stayed in a humid environment 24/7 here. So many to eat while waiting for the main dishes! By looking at it's presentation, THEY WIN IT! 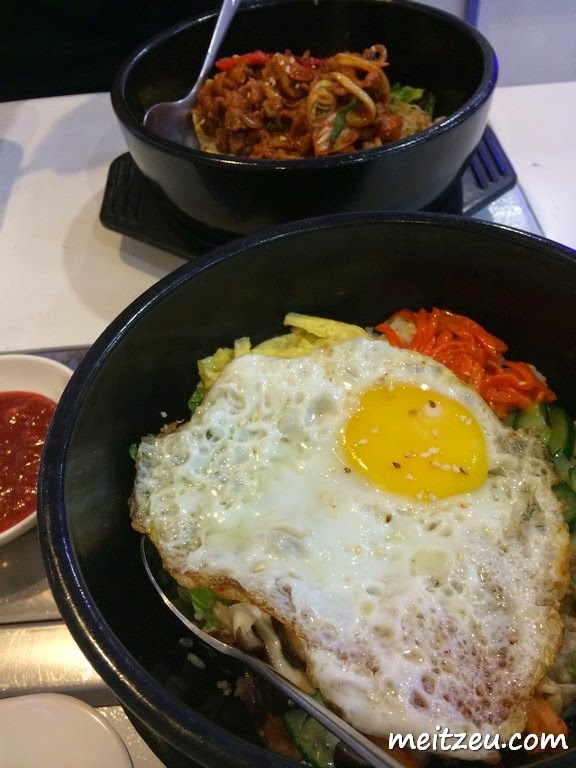 In fact, I love Bibimbap and we had two pots of bibimbap in addition with a plate of fried pancake. Over eating that night for two of us, but it was delicious!! 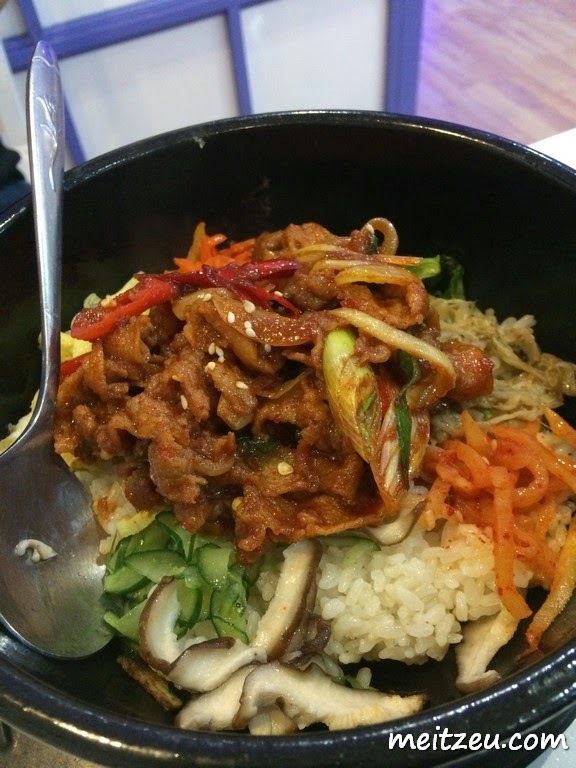 Stirred Bibimbap! Both of them were scrumptious, tender meat as for the pork one. Stirred all of it together with their sauce, can't wait for another bite. 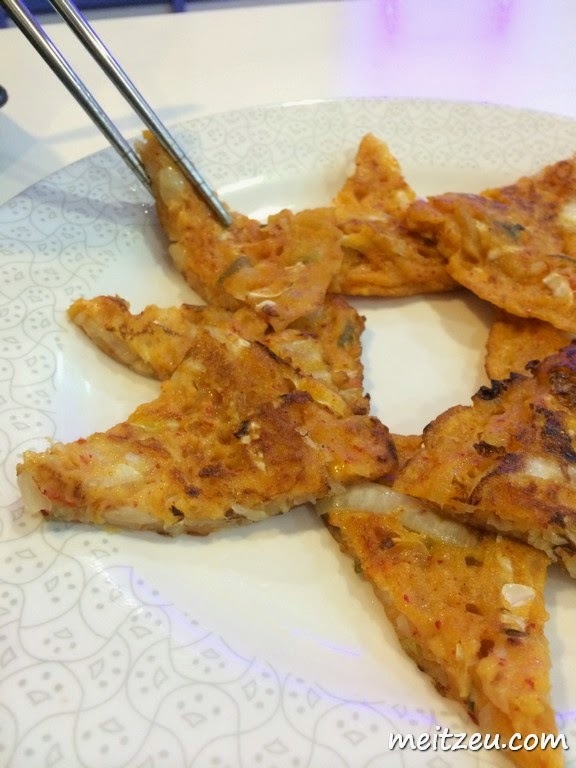 Kimchi pancake by The Bab's still acceptable, maybe it wasn't what I have expected. 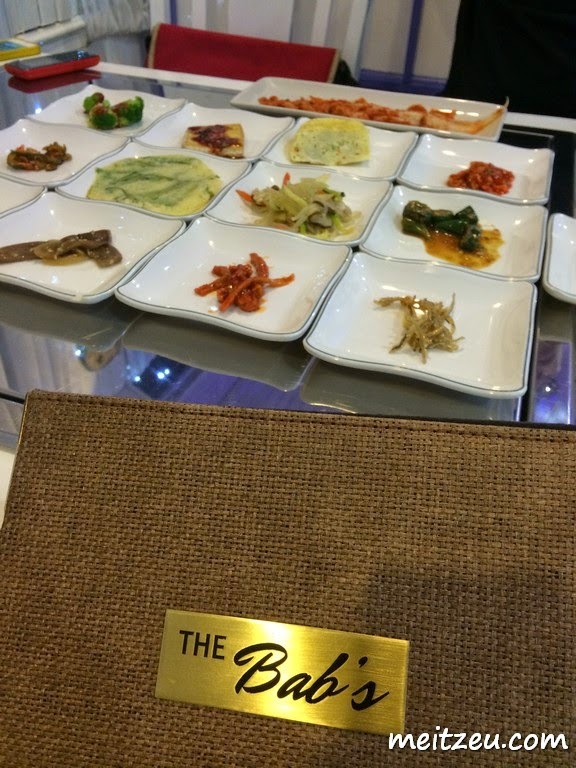 I tried a few Korean style pancake in town, I liked it and I'm still searching for the best one in town! I paid two person in total of RM78.00++ that night, gosh. hmm,....will be returning or not?